Many banks and credit unions say they support their community simply because they throw money at local charities. 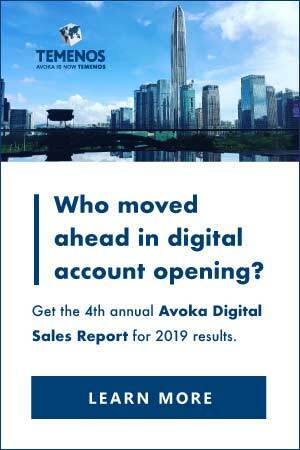 But fusing cause marketing with your financial institution's strategic plan can you help you accomplish important brand and business objectives. What does this mean? Many equate “serving the community” with philanthropic giving. It’s a good start, but you need to identify meaningful opportunities to tie your institution’s benevolence with your strategic marketing objectives. Cause marketing in North America is projected to top $2 billion in 2016. 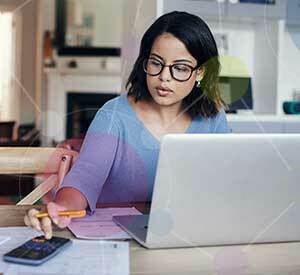 Financial brands can build consumer trust by demonstrating they are responsible, trustworthy and community-driven. Cause marketing can also help financial institutions nurture their internal culture, According to the 2016 Cone Communications Employee Engagement Study, 74% of employees say their job is more fulfilling when they are given opportunities to make a positive impact. This not only making both recruitment and retention efforts easier, it helps attract employees with socio-cultural priorities that align with your organization’s vision and values. Sue Tobias, SVP/Purpose & Business Strategy at Clarteza, says finding the right charitable partnership — one that aligns with consumers’ attitudes and the organization’s culture, is key to launching programs that drive and deliver real business results. Otherwise you’re just tossing money around with little to show for it but warm fuzzies — hard to quantify on the balance sheet. Is there a strong brand & business fit? Does the issue/organization resonate with our target audience? Do the program mechanics engage consumers in a meaningful way? Is the intended level of involvement commensurate with the scale of the company and/or customers’ expectations? Will this program/partnership cut through the clutter? Digital strategist and social impact consultant Ava Kelly agrees that forming a relevant partnership is key to any cause marketing campaign that will have a meaningful impact on your brand. For any corporate social responsibility efforts to work, it’s all about the “why”: Why are you involved? Why does it matter to your organization? What’s the story driving this relationship? “Think about cause marketing as representing who you are, as opposed to traditional campaigns that represent what you do,” she says. Being community-minded with hyper-local cause marketing is something financial institutions of any size can and should do effectively, says Hillary Kelbick, president of MKP Communications. 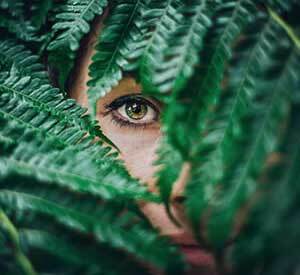 Given consumers want to support sustainable responsible companies and feel like they’re part of something bigger, campaigns should encourage consumers (and employees) to take action that produces real, tangible results. Start small. Encourage your local branches to look for unconventional opportunities to work with local merchants. 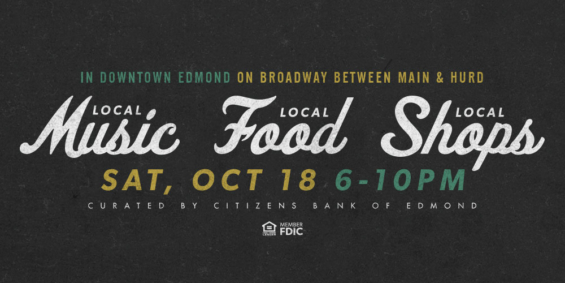 Hosting a great party has been an easy way for Citizens Bank of Edmond to bring its community together. 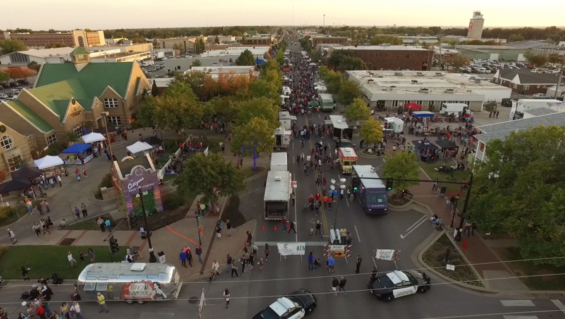 Launched in 2014, Heard on Hurd is a monthly family-friendly street festival, occurring every third Saturday from March through October on Hurd Street in historic Downtown Edmond, where the bank is based. Created to showcase the small businesses that make their community unique, the festival is like a family-friendly summertime festival with pop-up shops, live local bands, and food from local chefs. 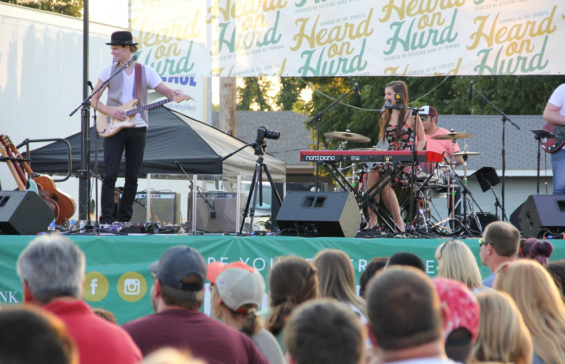 Each month, ‘Heard on Hurd’ also selects a local nonprofit to feature prominently at the event. The program provides small businesses what they need most- exposure and access to potential customers. 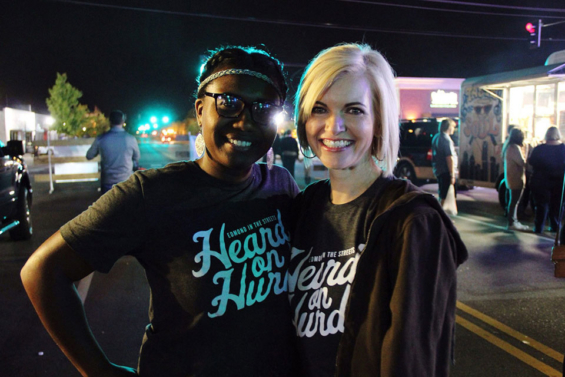 “‘Heard on Hurd’ has organically grown through word of mouth, local support and social media, and our hope is that it continues to be that local community block party where you may see a neighbor or friend,” Castilla adds. For more than 25 years, Woodlands Bank in Williamsport, Pa. has been quietly making a difference in the communities it serves but never really shared those stories. The ICBA has recognized the $390 million community bank for its community service awareness campaign encouraging residents to “Get Local, Give Local & Go Local” by supporting area businesses and nonprofits. 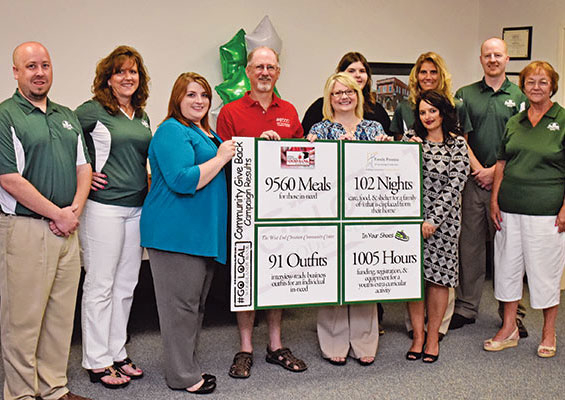 As part of its campaign, the bank identified four local nonprofits representing four different areas of need in the community: shelter, food, youth development and clothing. Woodlands Bank then empowered local residents who opened a new account or interacted with its Facebook page, to direct one donation: 20 meals to a local food bank; one night of care, food and shelter for a displaced family of four; one interview-ready business outfit; or eight hours of extracurricular activity for a child, to one of the four local charities. More than 9,500 meals, 100 nights of shelter, 90 outfits and 1,000 hours of activities were generated during the three-month awareness campaign. Bank employees continued their volunteer efforts lending a hand where needed whether with a Habitat for Humanity build or packing senior boxes at the food bank. Woodlands Bank also took the opportunity to shine a spotlight on 45 local small-business customers. Shop owners displayed #GoLocal stickers in their windows and became part of the social buzz as the bank gave away gift cards to their businesses as part of its Facebook engagement sweepstakes. Define your story. A community bank is an accumulation of many different stories developed over years of relationships with many different customers and your unique community. Sharing those stories is sharing your own. Giving back takes many forms. Empowering individuals to direct your bank’s charitable giving helps raise awareness—and also makes customers feel as though they are pitching in. Be true to your bank’s identity. People know if you aren’t authentic. Woodlands Bank has been an active part of the community for years. Many people were excited the bank was finally talking about its efforts. 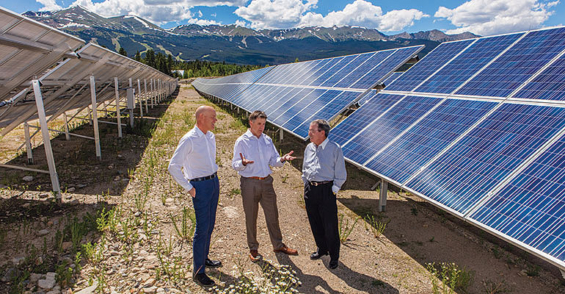 Over in Glenwood Springs, Colo., the $2.8 billion Alpine Bank’s contributions to green energy production helped it take the ICBA’s Community Service top honors as the Grand National Award recipient. In its “Sharing the Sunshine” initiative, Alpine Bank purchased 82 solar panels from the Clean Energy Collective to help create a community solar garden. The bank then donated its ownership of the panels to the Family and Intercultural Resource Center, a local nonprofit that helps subsidize the energy bills for local families in need. Since 2014, the bank has invested $896,480 in 1,092 solar panels from five different community solar projects. Its Green Team Committee, comprised of 30 employees, meets quarterly to set environmental project priorities. Vancity Credit Union in Vancouver, British Columbia has been a values-based cooperative for years. The credit union ensures its members’ savings are invested in ways that build its members’ wealth while helping develop healthy communities. For example, one investment area is local and organic food, which includes honey and crops reliant on bee pollination. Vancity invests in this sector to help develop a sustainable local food system, which in turn contributes to a healthier environment, improved individual health and a more resilient local economy. The credit union has been focused on taking a long-term view of what is happening in the economy by looking beyond the financial markets to the production of goods and services that impact people’s lives. The values-based approach helped the credit union attract more than 29,000 new members in 2015 and grow to $19.8 billion. This article was originally published on September 8, 2016 . All content © 2019 by The Financial Brand and may not be reproduced by any means without permission.